Founded in 1992, Rosenblum Newfield is a civil litigation, administrative and health care law firm with offices in New York and Connecticut. Rosenblum Newfield is a civil litigation, administrative, and health care law firm. The firm represents health care providers physicians, nursing homes, home health care companies and insurers in diverse legal matters. 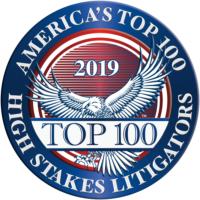 These include high exposure litigation and liability cases; risk management/litigation prevention; quality management/EMR; commercial/financial/contractual and many other issues. Outside the health care arena, the firm provides commercial clients in a number of industries with civil litigation and business counsel. For both health care and commercial clients Rosenblum Newfield provides cyber liability services, an emerging area of the law. Highly regarded within the legal and medical professions and the business community, the firm offers clients a stable culture built on extensive experience, meticulous, creative research and respect for all parties to the situations it addresses. These qualities contribute to an impressive record of defense verdicts, as well as to longstanding client relationships. Mr. Rosenblum is certified by the National Board of Legal Specialty Certification / National Board of Trial Advocacy, and the firm has an AV (highest) Martindale-Hubbell rating. The firm has offices in New York (Manhattan and Westchester County) and Connecticut (Stamford).